A rare combination of violet and purple, bezels and prongs, rounds and squares, set among silvery waves on an antique silver finish bar-link chain. 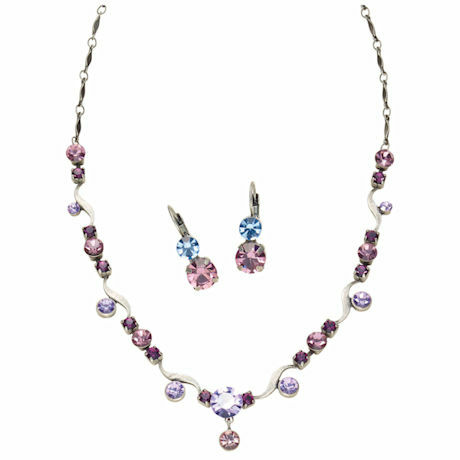 Sparkling Swarovski crystal necklace (XB4526 - sold separately) hangs 19 ½". Complementary earrings (XB4536) hang 1" on leverbacks.